Once, the beer wars were about Bud versus Coors. But now both brands — or, rather, the giant companies that brew these kinds of mass-audience beers — are mostly battling for market share against craft brewers, the independent, fiercely committed group of people who preach a message of quality and care that comes from small-scale brewing. In the last few years, it’s become clear that the independent brewers are winning: In 2012 there were 2,538 breweries in the United States. Now there are more than 3,700. That’s an average of roughly two new breweries opening every day. Sales of megabrands like Bud Light and Miller are flat; craft beer, meanwhile, now accounts for 11 percent of all beer consumed in the U.S. (In terms of revenue, that’s nearly 20 percent of the American beer market.) And store shelves and taps around the country almost always carry an array of craft beers. At this point, even your parents probably have a craft beer or two that they prefer to Bud, even if that beer happens to be Samuel Adams. In fact, Budweiser is now directly attacking craft beer, and its fans, in its advertising — something that until recently would have been unheard of. To understand why, it helps to know just a little bit of technical nitty-gritty: A brewery’s size is measured by how many “barrels” (usually stainless-steel kegs, really) it produces each year. Before 2010, to be considered craft by the Brewers Association — craft beer’s trade group — a brewery had to produce fewer than 2 million barrels per year. By comparison, A-B InBev produces more than 100 million barrels annually. To most beer drinkers, though, the easiest way to think of it is that craft beer is the small-brand stuff, usually rocking a goofy name (Fuzzy Baby Ducks IPA, Zombie Dust, Stickee Monkey, etc. ), that’s brewed with high-quality ingredients and often includes strong flavors or a higher-than-usual percentage of alcohol, or both — traits that also command a premium price. This is no accident, as both the BA and brewers themselves have spent decades marketing their beers as “better” than the macrobrews or mass-market imports like Heineken or Stella Artois, which tend to be lighter in color and lower in alcohol because that style of beer is the most efficient to make, largely forgoing long fermentation time or aging that slows production and raises costs. But, just as Grimm says, the definition of a craft beer is literally changing to accommodate brewers’ growing output. 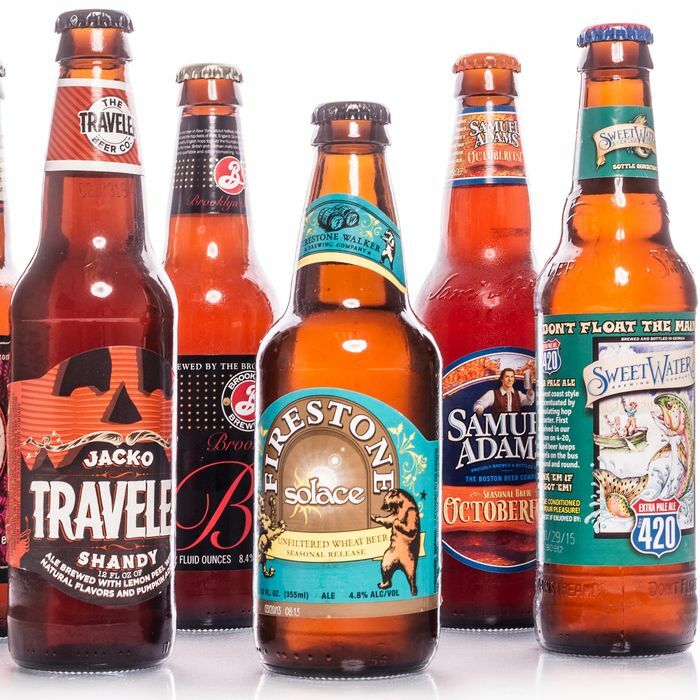 A brewery can now be considered “craft” if it produces up to 6 million barrels, which is why the Boston Beer Company, the brewery that makes Samuel Adams, is still included among this group. Higher production doesn’t necessarily mean a lower-quality product, of course, but the BA also now allows craft brewers to use so-called “adjunct” ingredients in their recipes, cheaper grains such as corn or rice that brewers will use in place of barley to keep costs down — a strategy most associated with mass-market macrobrewers like Anheuser-Busch. As a result, the country’s biggest craft brewer today is officially Yuengling, the independent Pennsylvania brewery most closely associated with a middle-of-the-road lager that most people would probably call “Bud-like,” meaning it’s a pale, light beer that’s very easy to drink. It’s perfectly fine, but it’s also at odds with the deeply flavored, hoppy beers that craft brewers have used to set themselves apart from Big Beer — things like double IPAs and coffee stouts that are to Miller Lite what a handmade, wood-roasted pizza from Roberta’s is to a frozen pie from Tombstone. Whether that actually happens remains to be seen, of course. What’s clear for now is that the line between these businesses is indeed getting blurrier: Companies like A-B InBev are seriously reconsidering the ways in which they do business, and craft brewers are (cautiously) adopting some of the practices that helped macrobrews grow into the giants they are today. The upside is that there’s more good beer than ever before — even if people are becoming increasingly less sure about what to call it.